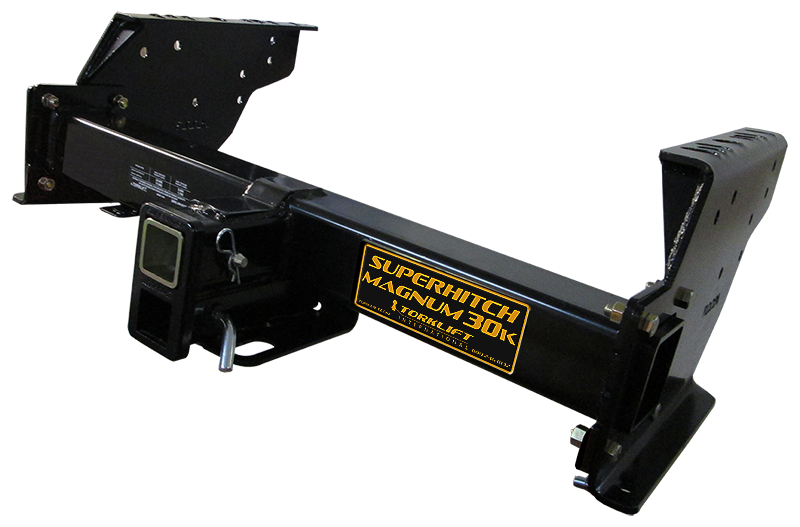 The SuperHitch® Magnum 30K is rated at 3,000 lbs tongue weight, 30,000 lbs pull with weight distribution and 20,000 lbs pull and 2,500 lbs tongue weight carrying. Most applications don't require drilling and are compatible with industry standard ball mounts. 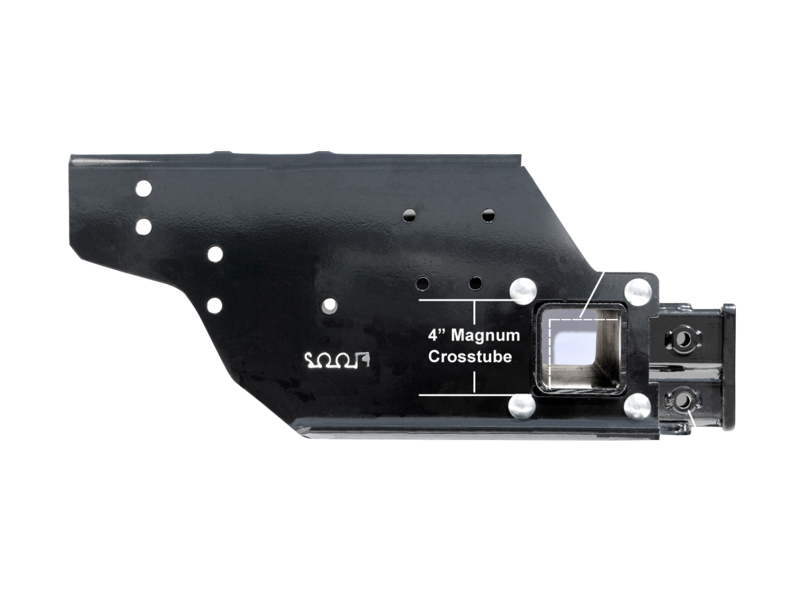 It uses our patented dual receiver design (2 1/2" upper and 2" lower) high penetration dual shield welding and includes hardened reinforced hitch pin locations. 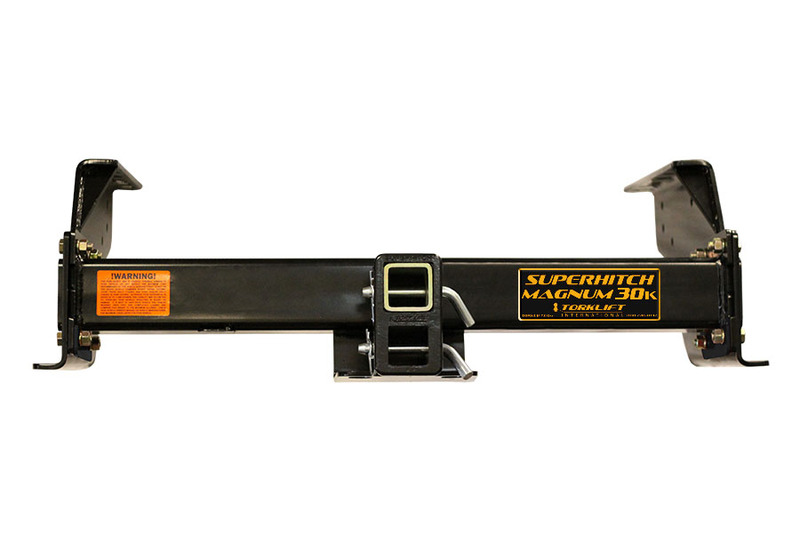 The SuperHitch Magnum 30K has a Legendary Lifetime Warranty and is proudly made in the USA. Torklift International can help with your commercial towing needs! Contact us for fleet pricing. †12,000 lb. pulling capacity, 1,200 tongue wt. achieved only when used with weight distribution type system. See Dealer for details, Weight carrying capacity on 48” extension, 6,000 lb. pull, 600 lb. tongue wt. 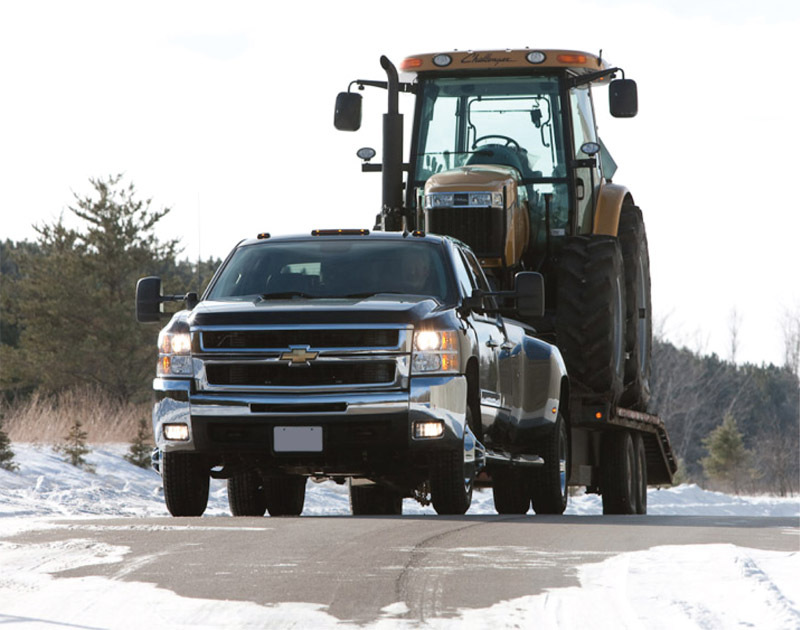 Consult your vehicle owners manual for specific towing capacity. Your truck and trailer weight cannot exceed your vehicle manufacturers towing, cargo, or GCVWR. 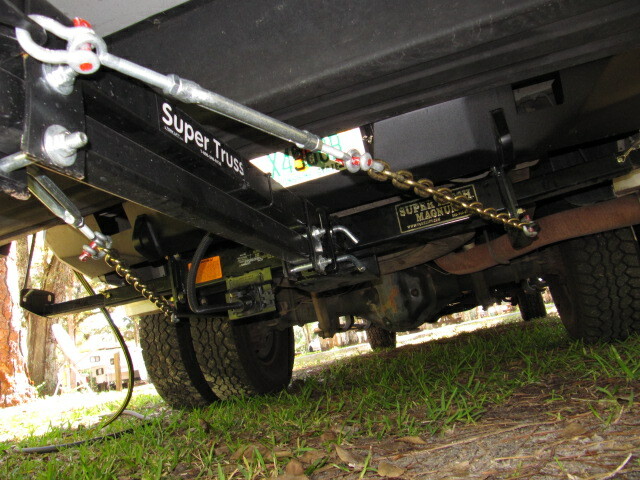 †† (Camper on, camper off, height variance) obtained by using the ball mount in either upper or lower SuperHitch receiver. © 2019 Torklift International Incorporated. All rights reserved.